Variable in flower size (9–20 mm long) and also in stature, with low creeping plants rooting at the nodes and hence almost impossible to exterminate in lawns, or with tall luxuriant stems in dense taller vegetation along ditches. 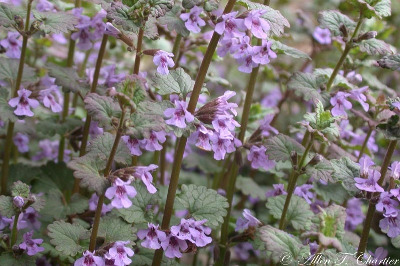 Sometimes confused with Lamium, but easily distinguished by the distinctly pedicellate flowers (as well as the strongly 15-nerved calyx). MICHIGAN FLORA ONLINE. A. A. Reznicek, E. G. Voss, & B. S. Walters. February 2011. University of Michigan. Web. 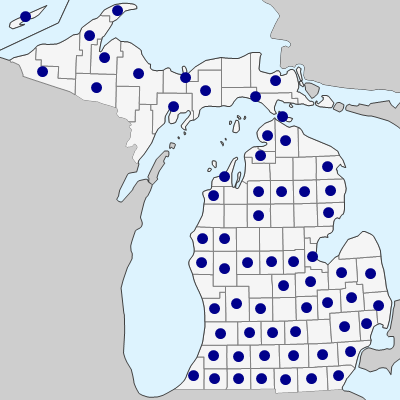 April 21, 2019. https://michiganflora.net/species.aspx?id=1547.